If there is a genre in cinema which is grown from strength to strength, it is the documentary. From the blockbusting success of Michael Moore a decade ago, to the recent groundbreaking and frankly mental The Art Of Killing, it has shown versatility, invention, and proven to be as entertaining and gripping as any work of fiction. 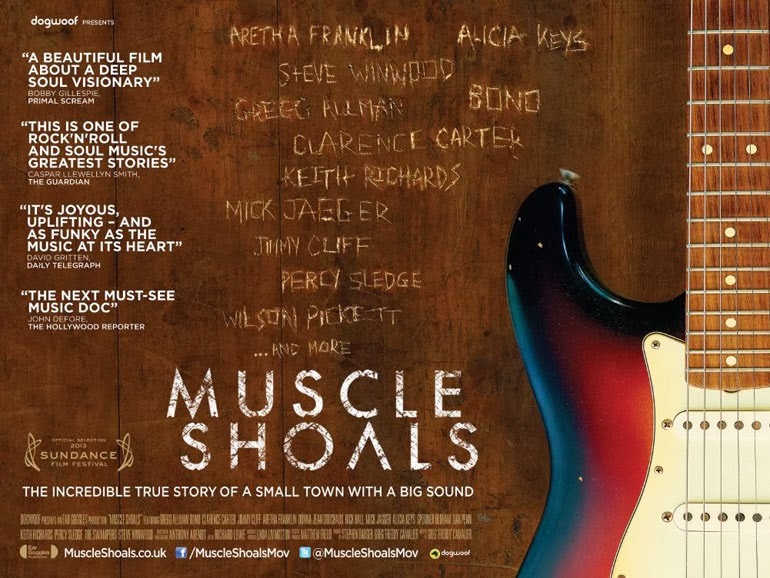 I have reviewed two recent documentaries which are both worthy of our highest accolade, a 5 stars rating: The Square and Muscle Shoals. Nominated in the Best Documentary category for the 2014 Oscars, The Square by director Jehane Noujaim (Control Room, 2004) works to make sense of the very recent historical events in the Arab Spring in Egypt beginning in January 2011. Literally being on the streets of Cairo as 'the people demand the downfall of the Regime' Noujaim follows ordinary Egyptians such as Ahmed Hassan and Magdy Ashour as they become enthused and then confused by the revolutionary momentum that brought down the decade long dictatorship in Egypt and brought in elections that are still considered debatable in their democratic integrity. British born Egyptian actor Khalid Abdalla (The Kite Runner, 2007) takes a dedicated part in reporting and documentary the events of the Egyptian revolution, often, as with the director herself, taking real risks in doing so. The titular square is the downtown Cario public Tahrir square occupied by revolutionaries and various factions as the Arab Spring erupted in the city and as the tear gas settled before and after elections were held in the country. Noujaim also includes interviews with members of the military elite and Magdy Ashour is a member of the Muslim Brotherhood trying to reconcile his loyalty to his country and his religion. Affecting and open minded, The Square helps to shape a clearer narrative behind the information and propaganda swirling around the events in Egypt following the downfall President Hosni Mubarak's dictatorship. The film makers are clearly in favour of a secular democracy but willing not to demonise the Muslim Brotherhood beyond the facts at hand. An earnest documentary made by Egyptians wanting to communicate the modern history of their country. The small town of Muscle Shoals in Alabama has been a quiet epicentre for some of the most recognisable music since the 1960s. Documentary film director Greg 'Freddy' Camalier has put together interviews using elegant cinematography with an impressive array of long standing musical greats such as Aretha Franklin, Keith Richards, Percy Sledge, Bono and Mick Jagger along with archival footage of Wilson Pickett for example. He tells the story behind the musical sound that was codified in at first the FAME studio run by producer Rick Hall and later a second studio run by Hall's original recording band known as The Swampers. 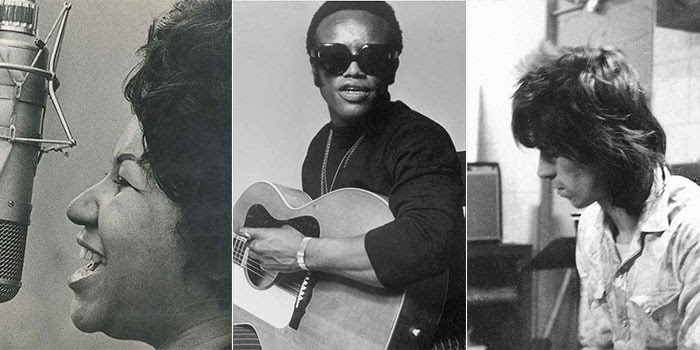 International hits such as 'When a Man Loves a Woman' and The Rolling Stones' 'Brown Sugar' were produced in this quiet town where the racial tensions of the American South did not exist in the recording studio.